The final event of the 2018 Triton Super High Roller Series Montenegro at the Maestral Resort & Casino in Budva, Montenegro came to an end with an extraordinary turnout for the HKD1,000,000 ($127,000) Short Deck Ante-Only Event to create a stunning field of 103 entries. A massive prize pool of HKD96,902,400 (~$12,344,397) emerged to obliterate the field of No Limit Hold'em Main Event and create the biggest ever Triton event in terms of entries and prize pool since the high stakes tournament series was founded by Richard Yong and Paul Phua in 2015. It took until the late morning hours and the final hand tween Jason Koon and China's Xuan Tan took place just before 5.30 a.m. Local time. By then, the players had grinded for more than 14 hours and Koon was delighted, albeit pretty exhausted at that time of the day in his interview after the victory. 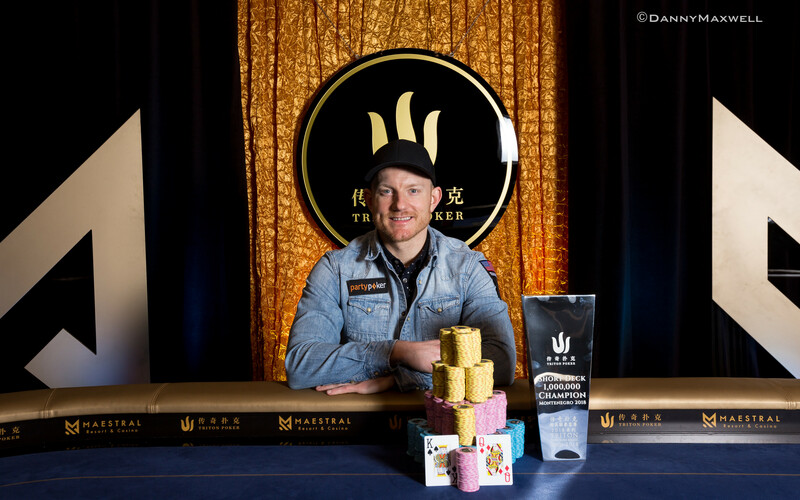 It is the biggest score of Koon thus far, who, despite having cashed for more than $13 million on the live circuit prior to the high stakes festival in Montenegro, more than doubled his previous best cash to take home the first-place prize of HKD28,102,000 ($3,579,914). “It is kinda hard to have a bigger cash than that one in a poker tournament. What was it, like three and a half million or something? Yeah, that's pretty sweet.” Koon faced a tough opponent in Chinese high stakes cash game grinder Xuan Tan, who is rumored to be among the big winners on the side action. Ultimately, Short Deck poker is still to be discovered by the vast majority of players outside of Asia and the mathematical aspect plays a vital role. Even after such a grueling fight until the end, Koon had the percentage at hand at the end of the interview. Koon will be heading home before the $300,000 Super High Roller Bowl in Las Vegas, and the World Series of Poker is also around the corner. Among the 12 players to take home a portion of the prize pool were such big names as superstar Phil Ivey, Winfred Yu, Rui Cao, Peter Jetten, Triton co-founder Paul Phua and Day 1 chip leader Devan Tang, while Tom Dwan was eliminated by Koon on the money bubble. The registration remained open for another two levels and with just 13 players out of a 50-entry strong field to that point, a rather quick day may have been expected. Instead, the fireworks just got started and the chips were flying left and right. When the dust had settled, the screens confirmed that the field size had more than doubled in a matter of two hours and several entries at the last minute such as Main Event champion Mikita Badziakouski, Patrik Antonius and Bryn Kenney barely survived an orbit. Once the electric pace of the re-entry period had slowed down, the field was quickly whittled down to the last three tables. Dan “Jungleman” Cates, who finished runner up to Ivey in the first-ever Short Deck Ante-Only event earlier in the festival, busted in a three-way all in with ace-queen versus aces and the king-jack suited of Hau Lim Chan. The next double elimination included Elton Tsang and Romain Arnaud, as Tom Dwan flopped two pair with queen-ten. The bubble period was all about Jason Koon. He turned the nut straight and flush draw against the two pair of Thomas Goldstein to take a commanding lead and let the bubble burst by sending Tom Dwan to the rail empty-handed. Koon jammed pocket aces on a king-high flop and Dwan called it off with king-queen to leave without anything to show for. Koon continued to collect chips left and right, and a straight-over-straight setup against Hau Lim Chan vaulted his stack to 11 million, more than one third of the chips in play with 11 hopefuls remaining. Marius Torbergsen then had his kings cracked by the ace-king of Phil Ivey and further notables to miss out on the unofficial final table were Wai Leong Chan (who cashed in three of the four events), Devan Tang and Paul Phua. What followed was an eight-hour marathon to determine a champion, as hundreds of antes were at disposal for the seven finalists. Sean Dempsey was the first to fall. He got his short stack in with queen-jack and Xuan Tan called with aces, Dempsey was drawing dead on the turn. Peter Jetten, who also finished third in the Main Event, finished in 6th place.” I was very short in chips and knew I needed to get very lucky to move up and win the tournament.” Ultimately, it was a flip with queens against ace-king and Jason Koon turned a second king for a full house to leave Jetten drawing dead. The Canadian admitted that he had gotten only brief practice in Short Deck heading into the festival. “Very very little, weeks, a couple months maybe. Yeah, definitely, I love the game. There is a ton of entries, a lot of money to be played for in this tournament and it's very exciting. Any game is very exciting when that's the case. 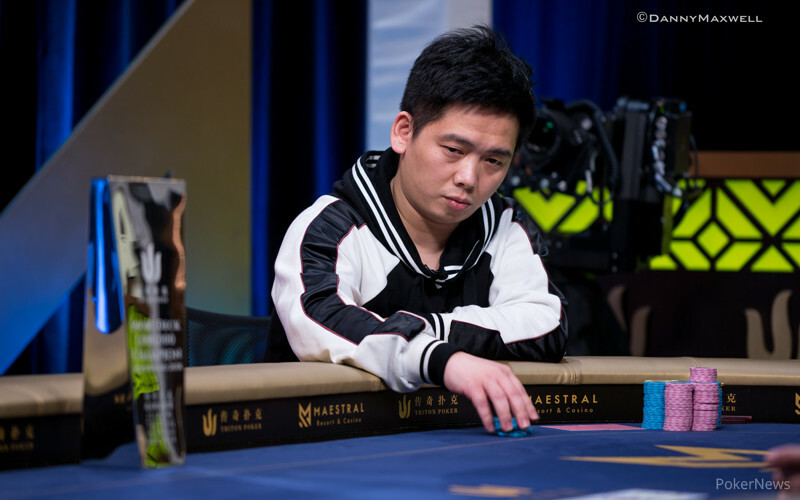 Down to the last five, Main Event runner-up Rui Cao was the most active player and his stack went on a roller coaster ride. The Frenchman eventually flopped trips with ace-seven only for Phil Ivey to turn over pocket sixes for a full house to dispatch Cao. The stalemate of the final four lasted all but two hours and back-to-back hands in favor of Jason Koon set up the heads-up. First Koon bested the pocket queens of Winfred Yu with king-jack suited before turning the nut straight with jack-ten against Phil Ivey's pocket jacks. 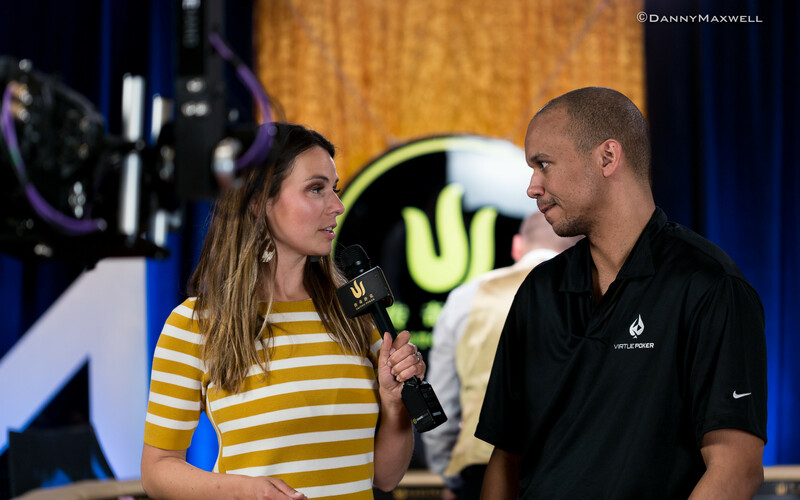 Despite this beat, Ivey has had quite a return to the live poker tournament scene with a win and a third-place finish. “Yeah I enjoyed it, I think the structure was great, I love Montenegro. This casino is wonderful and I gonna come every year hopefully.” Asked about the next stop in Jeju, South Korea, Ivey replied “Yeah, I plan on it, unless plans change last minute” and also confirmed the same for the World Series of Poker in Las Vegas. 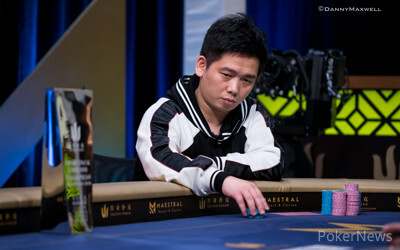 Xuan Tan went into the duel for the title as 1-2 chip underdog but slowly clawed his way back in. A few big pots in a row for Koon established a 4-1 lead and the American closed it out with yet another setup hand. Koon turned a full house with king-queen and the very same card gave Tan a straight with jack-ten to wrap things up. This wraps up the PokerNews live reporting from Montengro and the Triton Super High Roller Series will be heading to Jeju in South Korea next at the end of July. A limped pot to the flop saw Xuan Tan bet 200,000 with the and Jason Koon raised to 600,000 with the , Tan called. The on the turn was the money card for Koon as Tan improved to a straight. Tan checked and Koon bet 1,200,000. Tan had 5,800,000 behind and snap-called. The cards were tabled and the outcome was already clear, Koon said "Good game man, nice playing with you," then sank to the table and shook his head before the meaningless river completed the board. Tan was eliminated in 2nd place for HKD18,121,000 ($2,308,434) while Koon will shortly pose for the winner pictures. A recap of today's action is to follow. Xuan Tan limped with the and Jason Koon checked with the . The flop fell and Tan bet 200,000, Koon raised it up to 600,000 and Tan called with his flush draw. After the turn, Koon bet 1,200,000 and Tan called. The river only paired the queen and Koon checked, Tan quickly checked behind to drop down further. Koon then raised to 600,000 with the and Tan called with the . The flop brought a quick bet by Koon with bottom pair, making it 800,000 to go, and Tan folded. Xuan Tan limped in with the and Jason Koon raised to 800,000 with the . Tan limp-raised to 4.1 million to force a fold. The next limped flop of was checked through by Koon with and Tan with . The turn brought a bet of 300,000 by Tan and Koon called with bottom pair and the straight draw. After the turn, Tan gave up the pot and Koon checked behind with the "I can't win often," before adding "but I win sometimes" while dragging in the pot. Koon limped the and Tan raised to 800,000 with just the showing. The flop fell and Koon checked, Tan bet 950,000 and Koon called. After the turn, Koon checked once more and Tan fired a second barrel worth 1,500,000, Koon called with his full house. The river brought a bet of 1,200,000 by Koon and Tan folded. The limped flop of brought a check by Jason Koon with the for top pair and Xuan Tan bet 300,000 with , Koon called. After the turn, Koon led for 300,000 and Tan called. The river brought another bet of 400,000 by Koon and Tan called to win the pot. 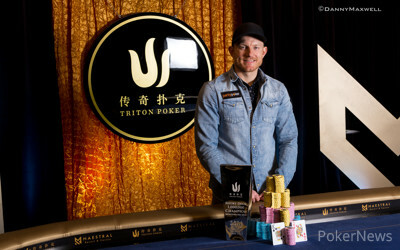 Jason Koon bet a limped flop of for 200,000 with the and Xuan Tan called with the . On the turn, Koon bet 200,000 once more and was called before the fell on the river. Koon checked and Tan bet 1,300,000. Koon gave it some thought and called to earn the chop. In a limped pot, Xuan tan checked the flop with the and called a bet of 200,000 by Jason Koon, who held the . On the turn both players checked and Tan gave up on the river. Koon checked behind and claimed the pot. Koon bet a limped flop of with the for 200,000 and Tan folded a jack for bottom pair. Tan limped with the and Koon raised to 800,000 with the . On the flop, Tan checked and Koon bet 1,200,000. Xuan Tan is up in the heads up duel so far but Jason Koon remains in a comfortable lead. The duo has headed into a short break before the start of the next level and there are still hundreds of antes in play.